When our kids were little we found a perfect family dog, a border collie/golden mix named Zippidydodawg or Zippo for short, the inspiration for “Me And My Dog” and “Dog Dog”. He even had his own little solo on the CD, “Queen Of Hearts”. A terrific companion , he died this past August at the ripe old age of 16. He is sorely missed but left us a legacy of fleas in our house. After much cleaning the fleas are gone and we started thinking about maybe having another dog. 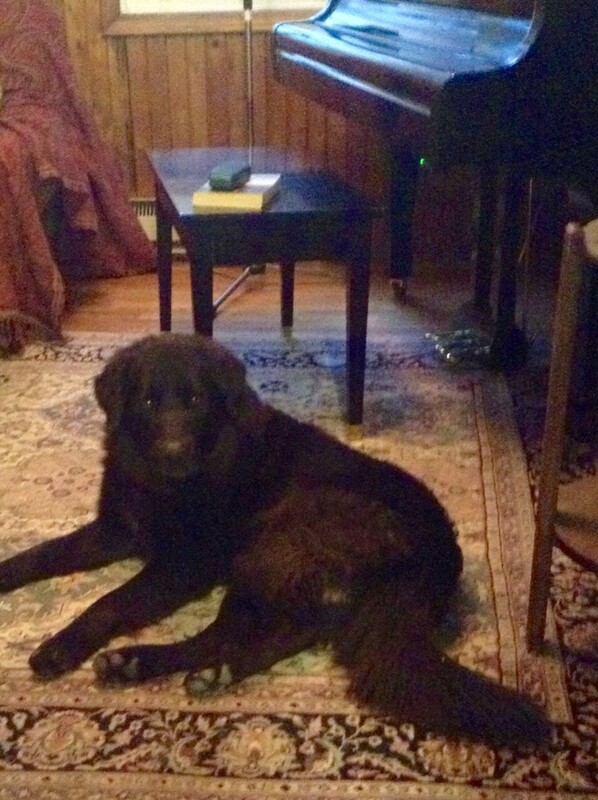 Our local SPCA is always overflowing with cats and dogs and within two visits we found our big, black shaggy dog, Taj. We love him as much as the cats hate him. I wonder what kind of songs he’ll inspire!